Mike, it only took me a day to get past this on CC's website, so you should be on the mend by tomorrow. Let us know how you are doing. The new CC website allows you to lock in your year so the search limits the results. Others require an extra click or two. And others require patience and your choice of adult beverage. Paragon offers 10% discount for NCRS. Call them with your number and then it should display when ordering. They only require an extra click to limit results. 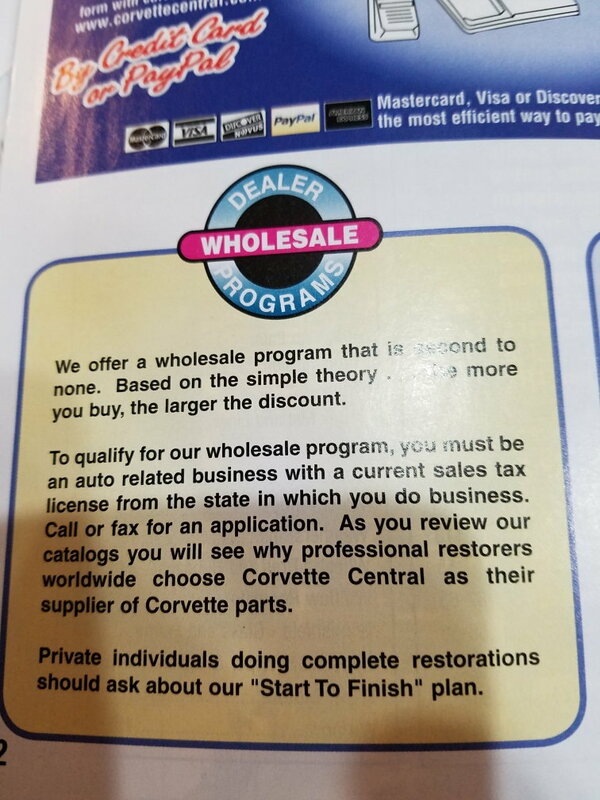 Double check with Corvette Central...Their latest catalog still has the private individual "Start to Finish" discount plan listed. I took advantage of the plan a few years ago. I think there are minimum purchase requirements and some other rules but you don't have to be an "auto related business" as required for their Dealer Wholesale Program. “Start to Finish” requires $2500 initial order. Hmmm. I always use the printed catalogs, I don't have any problems. I also use maps instead of GPS, I don't have any problems. Paragon has a "Stick With Us and Save", when you start a project and place a minimum $500 order, you get 15% off Paragon manufactured items for that project. 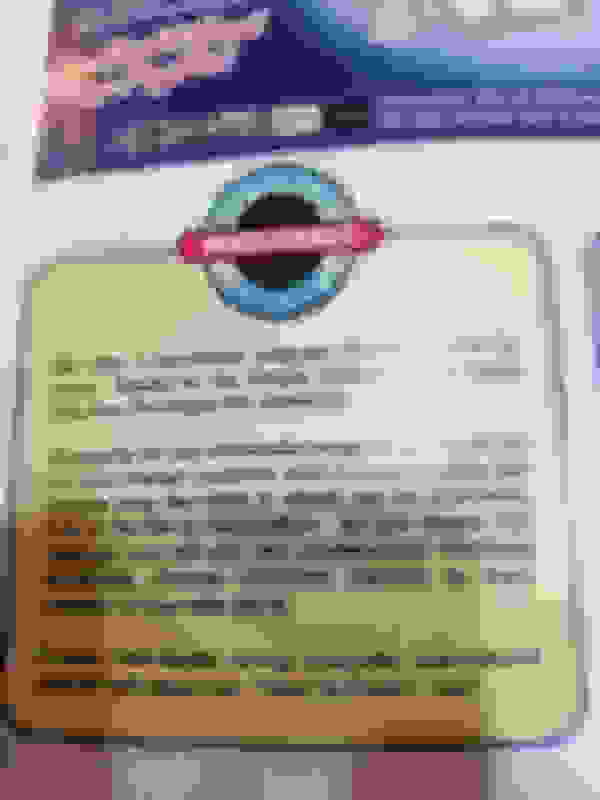 Last edited by dcamick; 04-17-2019 at 06:51 AM. I had to call a second time. They told me when I placed an order it is hand-entered, and the discount would be applied. It was, and after that first order the discount displayed.